Regular readers of my work have come to expect articles about the power of whey proteins to potentaily fight cancer and improve immunity among its many benefits. The ability of whey to fight cancer, improve glutathione levels and immunity, is well documented. Additional research suggests possible medical uses for whey that are quite unexpected and different from whey’s traditional role as an immune booster and anti cancer functional food. For example, whey may be able to reduce stress and lower cortisol and increase brain serotonin levels, improve liver function in those suffering from certain forms of hepatitis, reduce blood pressure, as well as other amazing recent discoveries, such as whey’s possible effects on weight loss, which is the focus of this article. When we talk about whey we are actually referring to a complex milk-based ingredient made up of protein, lactose, fat and minerals. Protein is the best-known component of whey and is made up of many smaller protein subfractions such as: Beta-lactoglobulin, alpha-lactalbumin, immunoglobulins (IgGs), glycomacropeptides, bovine serum albumin (BSA) and minor peptides such as lactoperoxidases, lysozyme and lactoferrin. Each of the subfractions found in whey has its own unique biological properties. Modern filtering technology has improved dramatically in the past decade, allowing companies to separate some of the highly bioactive peptides - such as lactoferrin and lactoperoxidase - from whey. The medicinal properties of whey have been known for centuries. For example, an expression from Florence, Italy. Circa 1650, was "Chi vuol viver sano e lesto beve scotta e cena presto" which translates into English as "If you want to live a healthy and active life, drink whey and dine early." Another expression from Italy regarding the benefits of whey (circa 1777) was "Allevato con la scotta il dottore e in bancarotta." Which translates into English "If everyone were raised on whey, doctors would be bankrupt." Is whey a weight loss functional food? A few years ago, I might have said no. Now I am not so sure. Although there was a smattering of studies suggesting whey had certain properties that might assist with weight loss, a number of recent studies appear to further support the use of whey as a possible weight loss supplement. Most interesting - at least to nerds like me - the effect appears to be not by a single mechanism, but several. This article will briefly explore a few possible pathways by which whey may assist the dieter. Human hunger and appetite are regulated by a phenomenally complicated set of overlapping feedback networks, involving a long list of hormones, psychological factors as well as physiological factors, all of which are still being elucidated. It’s a very intensive area of research right now, with various pharmaceutical companies looking for that "magic bullet" weight loss breakthrough they can bring to market. One hormone getting attention by researchers looking for possible solutions to obesity is cholecystokinin (CCK). Several decades ago, researchers found CCK largely responsible for the feeling of fullness or satiety experienced after a meal and partially controls appetite, at least in the short term. Cholecystokinin (CCK) is a small peptide with multiple functions in both the central nervous system and the periphery (via CCK-B and CCK-A receptors respectively). Along with other hormones, such as pancreatic glucagon, bombesin, glucagon-like peptide-1, amide (GLP-1), oxyntomodulin, peptide YY (PYY) and pancreatic polypeptide (PP)., CCK is released by ingested food from the gastrointestinal tract and mediates satiety after meals. Such a list would not be complete without at least making mention of what many researchers consider the "master hormones" in this milieu, which is insulin and leptin. If that’s not confusing enough, release of these hormones depends on the concentration and composition of the nutrients ingested. That is, the type of nutrients (i.e., fat, protein, and carbohydrates) eaten, the amount of each eaten, and composition of the meal, all effect which hormones are released and in what amounts... Needless to say, it’s a topic that gets real complicated real fast and the exact roles of all the variables is far from fully understood at this time, though huge strides have been made recently. Whey’s effects on food intake. This (finally!) brings us to whey protein. Whey may have some unique effects on food intake via its effects on CCK and other pathways. Many studies have shown that protein is the most satiating macro-nutrient. However, it also appears all proteins may not be created equal in this respect. For example, two studies using human volunteers compared whey vs. casein (another milk based protein) on appetite, CCK, and other hormones (Hall WL, Millward DJ, Long SJ, Morgan LM.Casein and whey exert different effects on plasma amino acid profiles, gastrointestinal hormone secretion and appetite. Br J Nutr. 2003 Feb;89(2):239-48). The first study found that energy intake from a buffet meal ad libitum was significantly less 90 minutes after a liquid meal containing whey, compared with an equivalent amount of casein given 90 minutes before the volunteers were allowed to eat all they wanted (ad libitum) at the buffet. In the second study, the same whey preload led to a plasma CCK increase of 60 % ( in addition to large increases in glucagon-like peptide [GLP]-1 and glucose-dependent insulinotropic polypeptide) following the whey preload compared with the casein. Translated, taking whey before people were allowed to eat all they wanted (ad libitum) at a buffet showed a decrease in the amount of calories they ate as well as substantial increases in CCK compared to casein. Subjectively, it was found there was greater satiety followed the whey meal also. The researchers concluded "These results implicate post-absorptive increases in plasma amino acids together with both CCK and GLP-1 as potential mediators of the increased satiety response to whey and emphasize the importance of considering the impact of protein type on the appetite response to a mixed meal." Several animal studies also find whey appears to have a pronounced effect on CCK and or satiety over other protein sources. It should be noted however that not all studies have found the effect of whey vs. other protein sources on food intake (Bowen J, Noakes M, Clifton P, Jenkins A, Batterham M.Acute effect of dietary proteins on appetite, energy intake and glycemic response in overweight men. Asia Pac J Clin Nutr. 2004;13(Suppl):S64.). It should also be noted that although studies find protein to be the most satiating of the macro-nutrients, certain protein sources (e.g. egg whites) may actually increase appetite (Anderson GH, Tecimer SN, Shah D, Zafar TA. Protein source, quantity, and time of consumption determine the effect of proteins on short-term food intake in young men. J Nutr. 2004 Nov;134(11):3011-5. ), so protein sources appear worth considering when looking to maximize weight loss and suppress appetite. How whey achieves this effect is not fully understood, but research suggests it’s due to whey’s high glycomacropeptide and alpha-lactalbumin content, as well as its high solubility compared to other proteins, and perhaps it’s high percentage of branch chain amino acids (BCAA’s). Whey’s effects on bodyfat, insulin sensitivity, and fat burning... . So we have some studies suggesting whey may have some unique effects on hormones involved in satiety and or may reduce energy (calorie) intake of subsequent meals, but do we have studies showing direct effects of whey vs. other proteins on weight loss? In animals at least, whey has looked like a promising supplement for weight loss. Although higher protein diets have been found to improve insulin sensitivity, and may be superior for weight loss (with some debate!) then higher carbohydrate lower protein diets, it’s unclear if all proteins have the same effects. One study compared whey to beef (Damien P. Belobrajdic,, Graeme H. McIntosh, and Julie A. Owens. A High-Whey-Protein Diet Reduces Body Weight Gain and Alters Insulin Sensitivity Relative to Red Meat in Wistar Rats. J. Nutr. 134:1454-1458, June 2004) and found whey reduced body weight and tissue lipid levels and increased insulin sensitivity compared to red meat. Rats were fed a high-fat diet for nine weeks, then switched to a diet containing either whey or beef for an additional six weeks. As has generally been found in other studies, the move to a high dietary protein reduced energy intake (due to the known satiating effects of protein compared to carbs or fat), as well as reductions in visceral and subcutaneous bodyfat. However, the rats getting the whey, there was a 40% reduction in plasma insulin concentrations and increased insulin sensitivity compared to the red meat. Not surprisingly, the researchers concluded "These findings support the conclusions that a high-protein diet reduces energy intake and adiposity and that whey protein is more effective than red meat in reducing body weight gain and increasing insulin sensitivity." Other studies suggest taking whey before a workout is superior for preserving/gaining lean body mass (LBM) and maintaining fat burning (beta oxidation) during exercise over other foods taken prior to a workout. The study called "A preexercise lactalbumin-enriched whey protein meal preserves lipid oxidation and decreases adiposity in rats" (Am J Physiol Endocrinol Metab 283: E565-E572, 2002.) came to some very interesting conclusions. One thing we have known a long time is the composition of the pre-exercise meal will affect substrate utilization during exercise and thus might affect long-term changes in body weight and composition. That is, depending on what you eat before you workout can dictate what you use for energy (i.e. carbs, fats, and or proteins) which alters what you burn (oxidize) for energy. The researchers took groups of rats and made the poor buggers exercise two hours daily for over five weeks (talk about over training! ), either in the fasted state or one hour after they ingested a meal enriched with a simple sugar (glucose), whole milk protein or whey protein. The results were quite telling. Compared with fasting (no food), the glucose meal increased glucose oxidation and decreased lipid oxidation during and after exercise. Translated, they burned sugar over body fat for their energy source. In contrast, the whole milk protein and whey meals preserved lipid oxidation and increased protein oxidation. 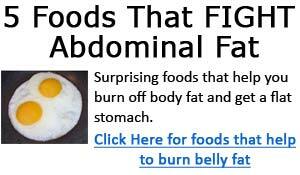 Translated, fat burning was maintained and they also used protein as a fuel source. Not surprisingly, the whey meal increased protein oxidation more than the whole milk protein meal, most likely due to the fact that whey is considered a "fast" protein that is absorbed rapidly due to it’s high solubility. As one would expect, by the end of the five weeks, body weight was greater in the glucose, whole milk protein and whey fed rats than in the fasted ones. No shock there. Here is where it gets interesting: In the group getting the glucose or the whole milk protein, the increase in weight was from bodyfat, but in the whey fed group, the increase in weight was from an increase in muscle mass and a decrease in bodyfat! Only the rats getting the whey before their workout increased muscle mass and decreased their bodyfat. The researchers theorized this was due to whey’s ability to rapidly deliver amino acids during exercise. Is this the next big find in sports nutrition or those simply looking to preserve muscle mass loss due to aging? Hard to say at this time being it was done in rats, but if it turns out to be true in humans (and there is no reason people can’t try it now) it would indeed be a breakthrough in the quest to add muscle and lose fat. Elevated levels of serotonin can cause relaxation and reduced anxiety. Low serotonin levels are associated with low mood, increased anxiety (hence the current popularity of the SSRI drugs such as Prozac and others), and poor appetite control. This is an extremely abbreviated description of all the functions serotonin performs in the human body - many of which have yet to be fully elucidated - but a full explanation is beyond the scope of this article. Many people on a reduced calorie intake in an attempt to lose weight find they are often ill tempered and more anxious. Reductions in serotonin may be partially to blame here. One recent study (The bovine protein alpha-lactalbumin increases the plasma ratio of tryptophan to the other large neutral amino acids, and in vulnerable subjects raises brain serotonin activity, reduces cortisol concentration, and improves mood under stress. Am J Clin Nutr 2000 Jun;71(6):1536-1544) examined whether alpha-lactalbumin - a major sub fraction found in whey which has an especially high tryptophan content - would increase plasma Tryptophan levels as well reduce depression and cortisol concentrations in subjects under acute stress considered to be vulnerable to stress. Diet-induced changes in the plasma Tryptophan and its ratio to other large neutral amino acids. Changes in mood and pulse rate. Cortisol levels (which were assessed before and after the stressor). Amazingly, the ratio of plasma Tryptophan to the other amino acids tested was 48% higher after the alpha-lactalbumin diet than after the casein diet! This was accompanied by a decrease in cortisol levels and higher prolactin concentration. Perhaps most important and relevant to the average person reading this article, they found "reduced depressive feelings" when test subjects were put under stress. They concluded that the "Consumption of a dietary protein enriched in tryptophan increased the plasma Trp-LNAA ratio and, in stress-vulnerable subjects, improved coping ability, probably through alterations in brain serotonin." This effect was not seen in the sodium-caseinate group. If other studies can confirm these findings, whey may turn out to be yet another safe and effective supplement in the battle against depression and stress, as well as reduced serotonin levels due to dieting. The mechanism responsible for increased fat loss found with dairy-based calcium versus nondairy calcium has not is not fully understood but researchers looking at the issue theorized "... dairy sources of calcium markedly attenuate weight and fat gain and accelerate fat loss to a greater degree than do supplemental sources of calcium. This augmented effect of dairy products relative to supplemental calcium is likely due to additional bioactive compounds, including the angiotensin-converting enzyme inhibitors and the rich concentration of branched-chain amino acids in whey, which act synergistically with calcium to attenuate adiposity." It appears components in whey - some of which have been mentioned above - are thought to act synergistically with calcium to improve body composition (Zemel MB. Role of calcium and dairy products in energy partitioning and weight management. Am J Clin Nutr. 2004 May;79(5):907S-912S.). If whey does what the data suggests it does in the above, that should be the most effective method for maximizing the effects of whey on food (calorie) intake on subsequent meals as well as the other metabolic effects covered. If working out, the schedule may be different however and people should follow the pre and post nutrition recommendations made in my ebook "Muscle Building Nutrition" or advice easily found on the ‘net via the many sports nutrition and bodybuilding related web sites. Will Brink is the author of Priming The Anabolic Environment and Weight Loss Nutrients Revealed. He is the Consulting Sports Nutrition Editor and a monthly columnist for Physical magazine and an Editor at Large for Power magazine. Will graduated from Harvard University with a concentration in the natural sciences, and is a consultant to major supplement, dairy, and pharmaceutical companies. Curzon G.Serotonin and appetite.Ann N Y Acad Sci. 1990;600:521-30; discussion 530-1. Strader AD, Woods SC. Gastrointestinal hormones and food intake. Gastroenterology. 2005 Jan;128(1):175-91.